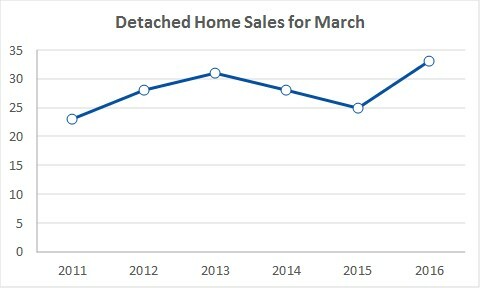 March was an other month of strong sales for detached homes in Prince Edward County, with unit sales 33 homes, up 32% compared to last March. This represented a 6-year high in unit sales. The total value of homes sold in March increased 41%, to a total of $10.7 million with an average price of $325,000.